Medical practice throughout England began to be loosely regulated after the establishment of the Royal College of Physicians in 1518, and the United Company of Barber-Surgeons in 1540. By granting these bodies unique rights to license practitioners, the monarch, Henry VIII, demonstrated a commitment to the formalisation of medical training, as well as a high regard for doctors trained at Oxford: to be a Fellow of the Royal College, you had to have a degree from Oxford or Cambridge. 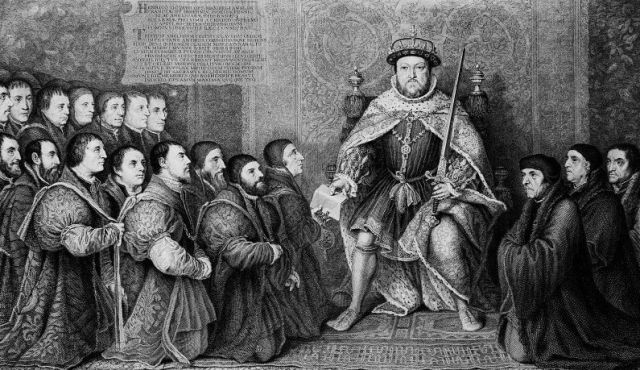 Henry VIII also established the position of Regius Professor of Physic at Oxford in 1546, a role that remains to this day as the Regius Professor of Medicine. Thanks to the efforts of Thomas Linacre, Henry VIII’s physician and the first president of the Royal College of Physicians, during this period most Oxford colleges made specific provisions for medical training, and reserved at least one fellowship for a physician.